Real estate and tourism are two separate fields, which correlate with and influence one another. By the end of its extremely disruptive civil war of nearly three decades, Sri Lanka was able to resolve a host of security issues, thereby instilling confidence among locals as well as foreign tourists venturing into different parts of the island. This in turn resulted in considerable growth both in the tourism industry as well as the real estate sector. LOCAL CLIMATE Sri Lanka is considered a multiethnic, multilingual island nation that encompasses a plethora of cultural and religious values, as well as an abundance of natural resources. Therefore, the country is constantly in the limelight and catches the eye of those who travel abroad for a cross section of purposes. According to the Sri Lanka Tourism Development Authority (SLTDA), nearly 2.1 million tourists arrived in Sri Lanka in 2016, which represents an increase of 14 percent compared to the previous year. And in 2017, Sri Lanka was recognised as one of the world’s fastest growing tourism markets alongside the likes of Japan, Iceland, Hungary and Chile. Since many travellers of varying backgrounds with a panoply of interests look to visit the country, it is evident that they continuously search for accommodation options both in the mid-scale and luxury categories. Prominent cities such as Colombo, Galle and Kandy – to say nothing of second-tier places of interest as well as the more familiar World Heritage sites – lure tens of thousands of tourists every day. Based on Lamudi’s in-house data, these main cities are also considered prime real estate locations that enjoy immense popularity, as well as witness rising property prices when it comes to residential and commercial property. BIZ PROSPECTS Research and analysis focussing on tourism have also proved that the industry plays a major role in fostering many business and economic opportunities – for locals as well as foreigners. One of the finest examples is the CIFC (a.k.a. 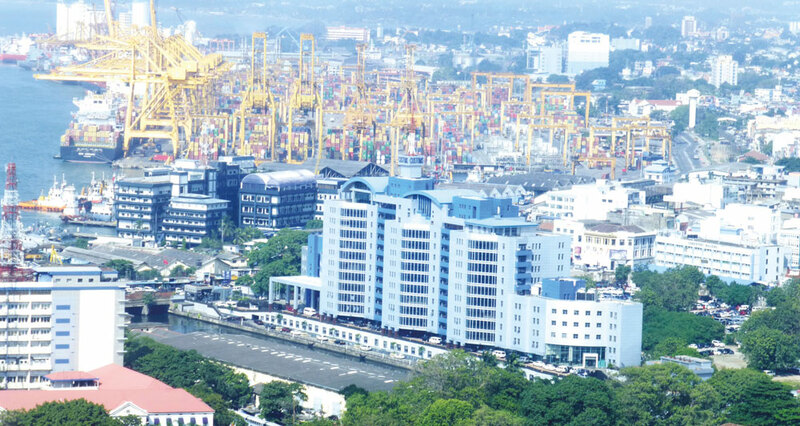 Port City), which is set to be completed by 2020 and expected to transform Colombo into a smart city in addition to upping the ante in the real estate stakes. In addition, we’re witnessing an increase in mixed developments in suburbs such as Colpetty and Rajagiriya, which cater to the rising demand for residential and commercial property. FUTURE SCENARIO In addition to growth in the hotel sector, and with respect to luxury residential and commercial properties, there’s a rising trend of demand for vacation homes. Since travelling across the island has become more affordable, and due to the government’s decision to reduce levies on the hotel and travel sectors, we are bound to witness increasing demand for short-term and multi-family living options for those who prefer to reside with locals – to taste an authentic slice of life in Sri Lanka. Lamudi’s in-house search results reveal that there’s an increase of over 45 percent in the number of tourists who stay in mid-scale hotels, multi-family homes and villas. Based on these statistics, Sri Lanka’s tourism accommodation options for the third quarter of last year include 337 projects that received final improvements, 113 under construction and 182 in operation while 42 are yet to start. The total value of investments for projects that gained final improvements stands at US$ 2.9 billion, according to the SLTDA’s Third Quarter 2018 Tourism Industry Report. BENEFITTING SECTORS Entertainment and healthcare are two other key sectors that seem to benefit from improvements in the nation’s tourism industry. Developers no longer aim to simply build residential properties but also focus on providing a 360 degree quality living experience by incorporating shopping malls, cinemas and other amenities into their designs to improve living standards. Furthermore, a plethora of Ayurveda hotels, retreats and treatment centres across the island are also growing in popularity thanks to the arrival of travellers from within the region as well as those from afar.